Emissions Scandal Is Hurting VW Owners Trying To Resell As resale prices drop, the emissions cheating scandal costs customers who want to sell their Volkswagen diesels. "I think it's a tainted product now," says analyst Dave Galvin. Volkswagen will have to compensate owners of diesel cars equipped with emissions-rigging software. But that isn't enough for some customers who are facing difficulty selling their cars after the scandal. 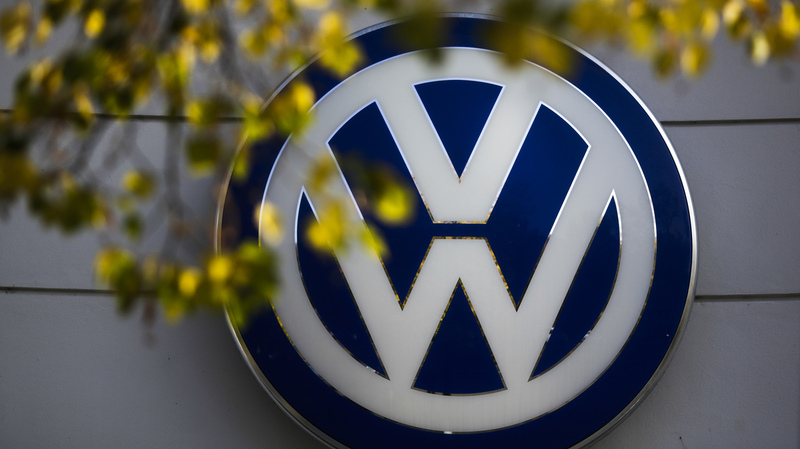 Volkswagen admitted it intentionally cheated on federal emissions tests. The German automaker now faces billions of dollars in fines and litigation, plus the cost of fixing some 11 million diesel cars worldwide. That's just the company. The scandal is costing owners, too — at least those who are trying to sell their VW diesels. Not surprisingly, resale prices for the affected cars have been falling. Just before the EPA announced that Volkswagen tricked emission inspectors, Kim Johnson started trying to sell her 2014 Jetta. "It's got four doors, it's got heated seats. It is great on gas currently," she says. Johnson says the car is pretty peppy, too. 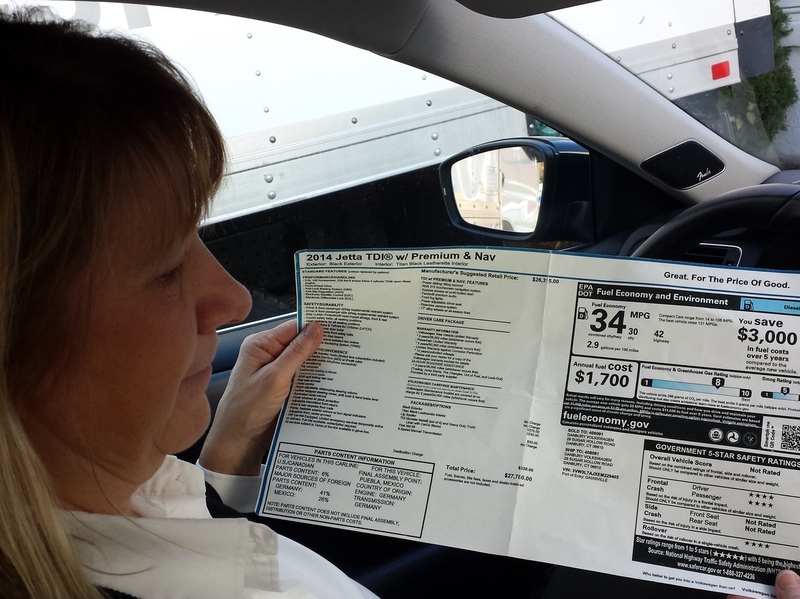 Kim Johnson of Ridgefield, Conn., says her 2014 Jetta lost more than $1,000 in value because, once fixed, it will no longer get the advertised mileage. "It is on the highway and everything, I have a lot of fun." Still, she has no offers and is upset with Volkswagen's lack of consideration for their customers. "Cheated. Cheated. We're a small business owner. If we did that to our clients we wouldn't be in business," says Johnson, who sells custom cabinets in Connecticut. She posted her Jetta on CarsGurus.com, where no one has expressed any interest in buying it. According to the site, Johnson isn't the only one. As fewer people search for Volkswagen cars affected by the scandal, prices on the site have fallen by 4.5 percent. Other sites report similar or greater cuts. "Because I think it's a tainted product now, consumers don't know what the long-term value of the cars they are buying will be or what kind of work will be needed to be done to make them pass inspection," says Dave Galvin, director of data analytics at CarGurus. Galvin says the depressed prices go beyond the cars facing recall — all Volkswagens are affected. Overall, VW shoppers on his site have dropped 6 percent since the crisis began. "It's a really unfortunate thing," says Jamie Vondruska, who runs a website for the Volkswagen enthusiast called VWvortex. He says that 10 years ago, the company staked its image on being environmentally friendly. The company planted a forest and built the first green certified car factory. "Having been someone who's followed the brand for a long time, a fan of the brand and owned a lot of their cars, it's hard to imagine how this kind of thing can happen," Vondruska says. He says an unforeseen victim in all this is diesel. Volkswagen had already announced it was going to eventually phase out its diesel cars in favor of electric. "This crisis is probably going to accelerate that, a little bit. Diesel as a whole, the over the road trucks and semis, have struggled to meet the emissions. It's an uphill battle for everyone involved in selling diesel products," Vondruska says. He advises current VW owners to hang tight, because he thinks the company will eventually make a comeback. He says automakers have survived bigger recalls in the past. Some readers on his site are even calling the current price drop a buying opportunity. But Kim Johnson, still trying to sell her Jetta, doesn't see it that way. The value of her car has dropped more than 4 percent. "I don't want to be out of pocket another $1,000 or $1,500. It would be nice if VW bought all their cars back, but that's not going to happen," Johnson says. Company executives say a buyback is unlikely. They say right now they are focused on meeting EPA regulations. The company is offering current owners a $2,000 "loyalty" bonus for another Volkswagen.